Well after months of procrastination I decided to get started on the buildings for The Town. 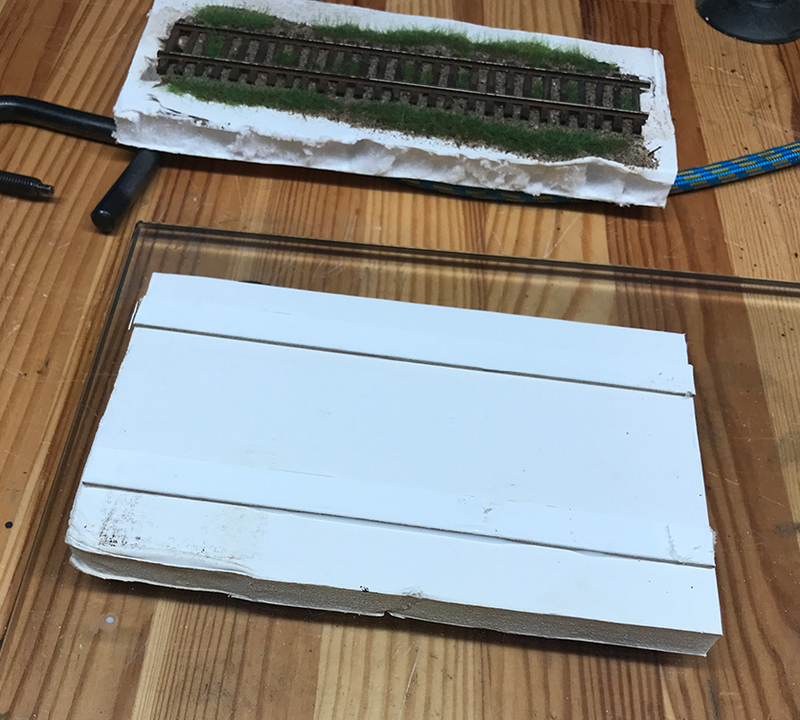 It’s not my favorite activity as I prefer tracklaying and landscaping to making structures, nevertheless the whole point of choosing a more urban setting for this model was get better at this part of the hobby – so I just got started. The first decision I needed to make was simply shall I scratchbuild or just build a kit? I looked longingly at several very suitable kits in the Walthers catalog but I decided against purchasing one. I enjoy learning stuff and figuring out how to do things and I felt that building from scratch would be the best way to improve my modeling skills. I may using kits for the background buildings so I haven’t ruled them out completely. Time for some grass. The secret is layers – short grass first then longer grass later. I’ve stopped using grass right out of the box and now mix different colors, lengths and brands (Heki, Silflor, Noch and more) to create a range of grass types. It’s good to have a selection of different colors, makes and lengths. The ability to take a scene and be able to match the grass exactly is the goal. I’m always adding to the collection. Silflor is my favorite as the grass has a nice texture and weight to it. The Silflor colors are flat but often I’ll add other brands such as Heki or Noch to the mix to make the grass pop. One can also spray the grass to vary the colors. 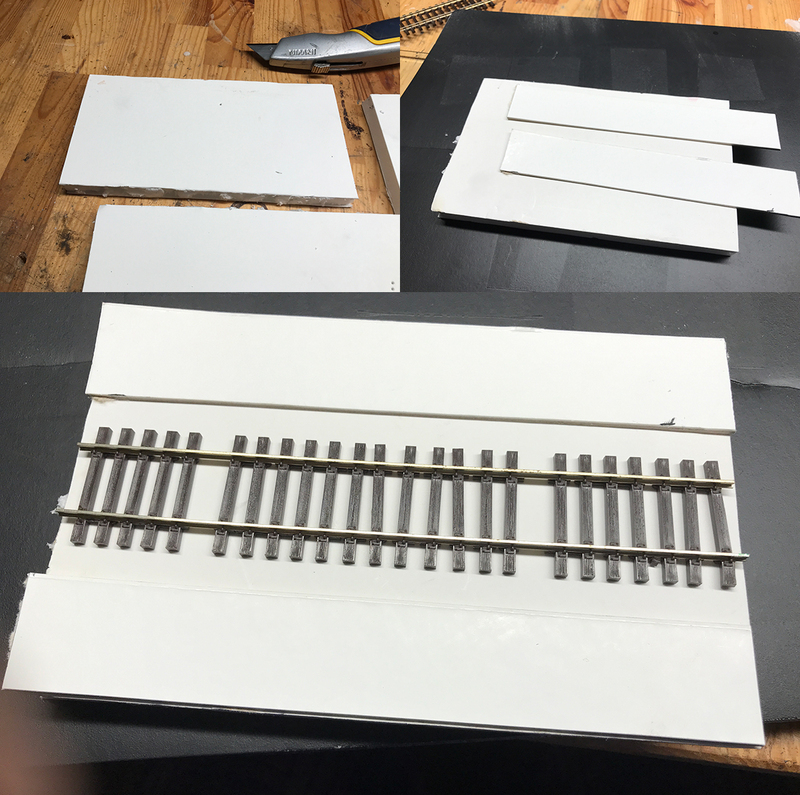 As previously mentioned I made four bases from 1/2 inch foam board of about 5.5″ x 3″. I added a little strip of card to either side in order to bring the level of the surrounding ground up to the height of a tie. I really like that sunken-tie effect on real track. It gives the impression of the track having emerged out of the ground in an almost organic way. Even though the area is ballasted, the ground around the track is the same height as the track. It’s an incredibly important detail to capture. The track seems more integrated in a natural way with the surrounding landscape and adds to the short-line charm of the railway. This location is Schellville CA. I’m about to start working on The Town this upcoming week but before that I wanted to share some results of recent studies. 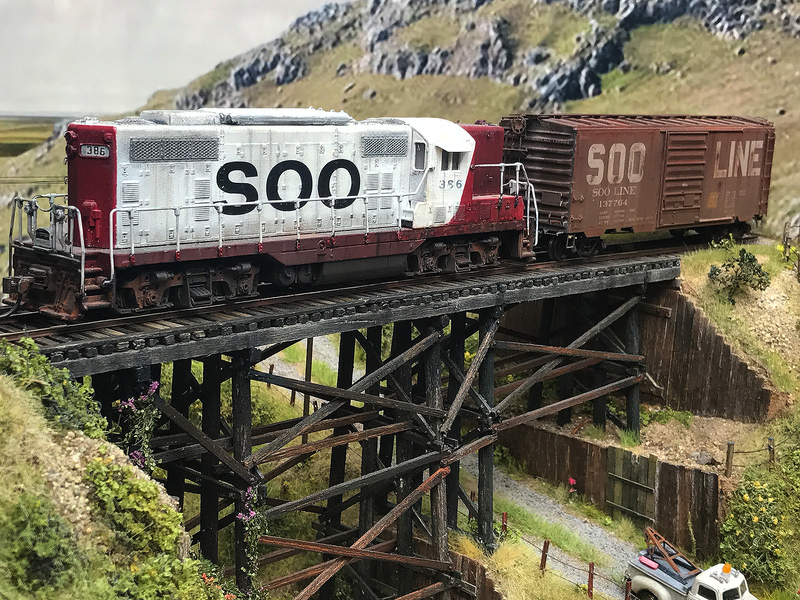 Every now and then I try to get away from the layout to test out new ideas, to work with new materials and generally get experience in different areas of the hobby. As such I spent the last few weeks working in an area of the hobby that fascinates me the most: trackwork. I’ve always been fascinated by trackwork – nicely eased passenger track, the complex arrangement of track around a station entrance, the spread of yard track, rickety old branch-line or short-line track; even abandoned track. 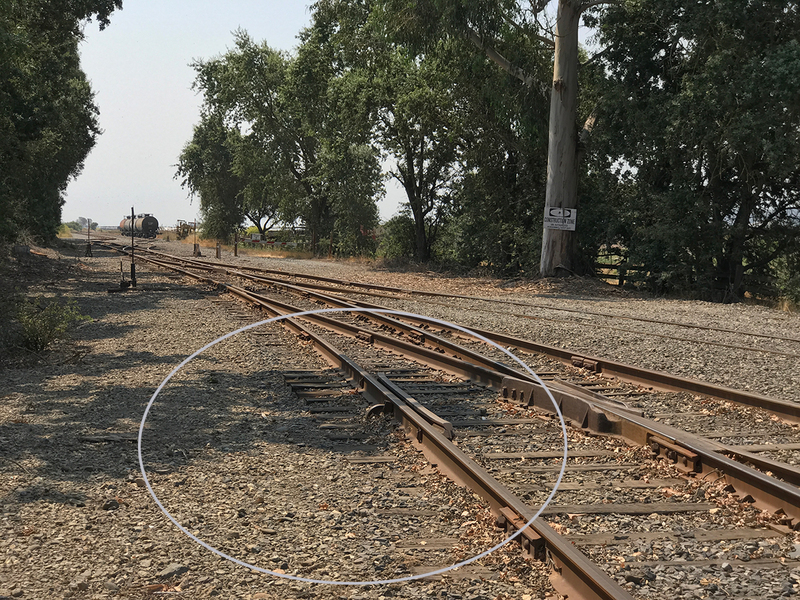 I like the technical aspect of trackwork – how the components of a turnout fit together and how different weights of rail are used in different situations. But mostly I focus on the aesthetics of track and how the environment over the years affects its look and condition and how the look of the track affects the overall railway scene. A stretch of track just covered in dirt and dust. No ballast to be seen at all. Also look closely and you can see so much variety and change that the effects of weather, time, and wear and tear have had on this stretch. The control panel is finished. Here are the final steps. 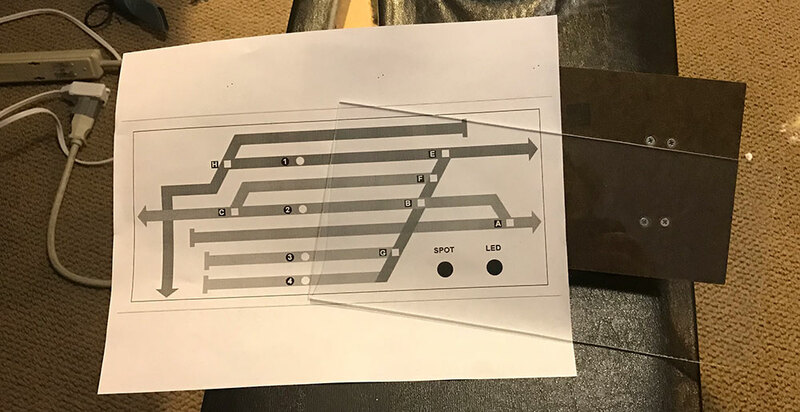 The diagram was printed on glossy photopaper in my color printer and I sandwiched it between the control panel backing and a sheet of plexiglass. 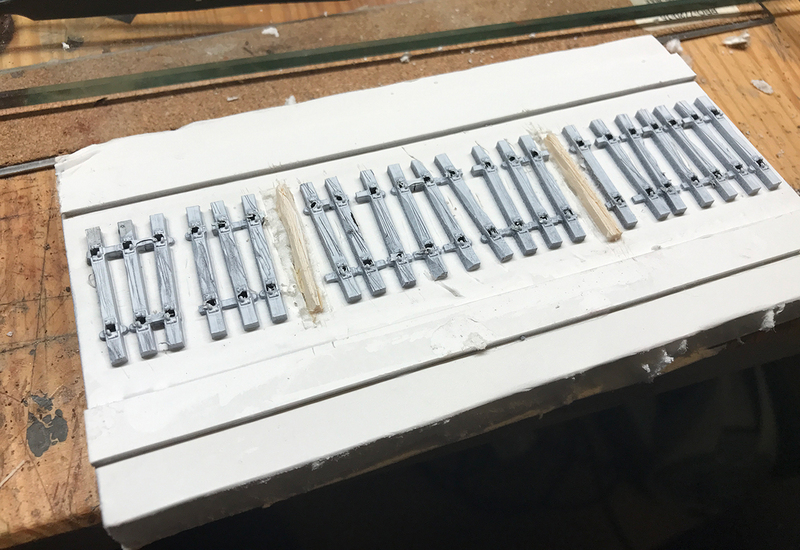 I used a black and white version of the plan as a guide for the drill and held the whole structure tightly using clamps while I drilled the holes in my press drill. With the two/three buses now fitted and powering all the track it was time to start fitting the turnout motors. 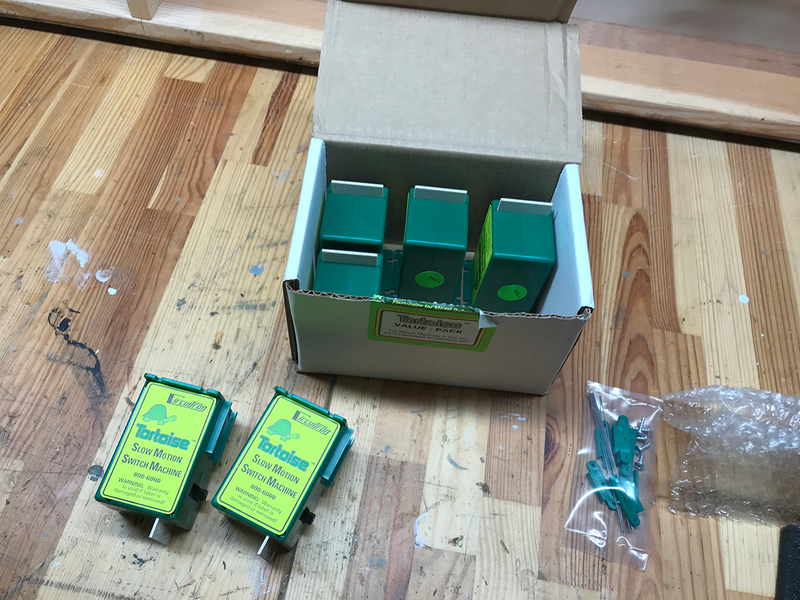 I decided to use Circuitron Tortoise switch machines and purchased a set of six from Ebay. I paid around $16 per motor.